Can in vivo surface dental enamelmicrobiopsies be used to measure remote lead exposure? Measuring lead in the surface dental enamel (SDE) using biopsies is a rapid, safe, and painless procedure. The dental enamel lead levels (DELLs) decrease from the outermost superficial layer to the inner layer of dental enamel, which becomes crucial for the biopsy depth (BD) measurement. However, whether the origin of lead found in SDE is fully endogenous is not yet established. There is also controversy about the biopsy protocol. The aims of this study were to investigate if DELLs are altered by extrinsic contamination (A) and to evaluate the real geometric figure formed by the erosion provoked by biopsy procedure and the respective BD in SDE (B). To accomplish the aim A, lead from 90 bovine incisor crowns lead was determined by graphite furnace atomic absorption spectrometer as a function of exposure time and lead concentration. Two biopsies were performed in each tooth, before and after lead exposure. Six 15-tooth groups differed by exposure time (1 or 30 min) and lead concentrations (A. 0 mg/L—placebo, B. 0.01 mg/L—standard for drinking water, or C. 0.06 mg/L—concentration found in contaminated groundwater). Phosphorus was determined by an inductively coupled plasm optical emission spectrometer to quantify the enamel removed. 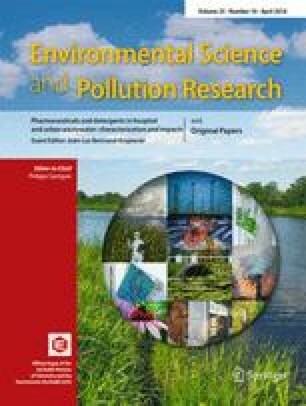 To compare intakes/losses of lead in SDE among the groups, values of DELL differences between before and after lead exposure were compared by ANOVA (p < 0.05). To attain the objective B, one extracted human permanent tooth was studied by confocal Raman microscopy. Lead measurements and the surface profile were determined. There was no difference in DELL among the groups (p = 0.964). The biopsy bottom surface area, analyzed by microscopy, showed an irregular area, with regions of peaks and valleys, where areas with depth ranging from 0.2 (peaks) to 1.8 μm (valleys) (± 0.1 μm) could be found. BD carried out in vivo is commonly calculated using the cylinder height formula. The real BD was shown to be very similar to already published data. In conclusion, the SDE of erupted teeth does not seem to be susceptible to environmental lead intake, being thus reliable to measure remote exposures to lead. Unfortunately, the original publication of this paper contains a mistake. The correct presentation of the Author name should be Wanda Maria Risso Günther. A correction to this article is available online at https://doi.org/10.1007/s11356-018-1609-y. Petrobrás, FAPESP (Fundação de Amparo à Pesquisa do Estado de São Paulo—grants 01/09641-1 and 06/56530-4); CNPq (Conselho Nacional de Desenvolvimento Científico e Tecnológico); and the Projeto Milênio Redoxoma. KPKO was recipient of a fellowship from CAPES (Coordenação de Aperfeiçoamento de Pessoal de Nível Superior). The Institutional Review Board of Bauru Dental School of the University of São Paulo reviewed and approved the protocol adopted to carry out the present work (Protocol 26/2010). Brasil. Ministério da saúde. Portaria n° 518, de 25 de março de 2004 (2004) Estabelece os procedimentos e responsabilidades relativos ao controle e vigilância da qualidade da água para consumo humano e seu padrão de potabilidade, e dá outras providências http://dtr2004saudegovbr/dab/docs/legislacao/portaria518_25_03_04pdf Acessed 8 March 2016.
WHO. World Health Organization. International Programme on Chemical Safety. Lead. http://www.who.int/ipcs/assessment/public_health/lead/en/ Acessed 8 March 2016.